Stephen Baird serves as chairman of The Realty Alliance — a consortium of the nation’s top real estate firms — and has testified before the U.S. Congress on matters of vital interest to the real estate community. In addition, he has long worked for the preservation of open space as past-president of CorLands, The Openlands Project and, currently, as a national board member of the Trust for Public Land. A 1975 graduate of Harvard University, Baird remains active in the Harvard community. Baird earned his MBA from Northwestern University’s Kellogg Graduate School of Business Management in 1985, and also serves as director of that school’s Alumni Board. Mr. Berman oversees GGP’s capital markets, finance, accounting and investor relations functions. He joined GGP in December of 2011. He brings more than 25 years of combined experience in the real estate and financial industries. Prior to his role as CFO of GGP, Mr. Berman served as executive vice president and chief financial officer of Equity LifeStyle Properties. During 2003, Mr. Berman was an associate professor at the New York University Real Estate Institute. He was a managing director in the investment banking department at Merrill Lynch & Co. from 1997 to 2002. Mr. Berman holds an MBA from Columbia University Graduate School of Business; a J.D. from Boston University School of Law; and a bachelor's degree from Binghamton University in New York. Mr. Berman is a member of the Columbia Business School Real Estate Advisory Board and a board member and chairman of the Audit Committee for Brixmor Property Group, Inc.
Gino Blefari is the CEO of HSF Affiliates. Previously, Blefari was president and CEO of Intero Real Estate Services, Inc., a leading U.S. real estate brokerage based in Cupertino, CA. Blefari founded Intero in 2002 and built the company into one of the fastest growing firms in real estate. With over 20 years of experience in luxury real estate, Paul Boomsma has created the highly successful Luxury Portfolio program. Paul began his career marketing luxury office towers and later joined a top residential firm, later becoming National Marketing Director for a major franchise. Paul is a frequent industry speaker on the topics of raising the bar for real estate branding, agent listing presentations, synergies with the resort/second-home market, and the luxury market. He has been named one of the Most Influential People in Luxury Real Estate and has received Unique Homes’ Luxury Marketer of the Year Award. Scott Brandwein has been an Executive Vice President at CBRE since its merger with Insignia/ESG in July 2003. He is widely regarded as one of Chicago’s most experienced and successful commercial real estate brokers and consultants. Since beginning his real estate career in 1979, he has been personally involved in more than 2,000 projects that span the range of commercial real estate, including office and industrial tenant representation, land sales and assemblage, disposition of surplus properties, and a variety of agency, leasing and sale assignments He has participated in over 150 consulting engagements on behalf of users, developers, lenders, property owners, municipalities and economic development groups and has been a member of project teams on a variety of development projects, including business parks and speculative office buildings and industrial and retail developments. Current responsibilities include CBRE Private Equity and Life Sciences Practice Groups in the Midwest Region and focusing on tenant representation. Mr. Brandwein began his career with Frain Camins & Swartchild, 1979 where he became a Principal of the firm in 1981. After holding a variety of positions within the company, including brokerage, research, consulting and agency leasing and sales, he became the Managing Partner in 1995. Mr. Brandwein combines his knowledge of all of the different product types, consulting and brokerage background with an extensive general business background to develop solutions and strategies customized to each project. Fran Broude was named president and chief operating officer of Coldwell Banker Residential Brokerage in Chicago and Milwaukee in January 2007. In this position, Broude oversees the operations of 55 Coldwell Banker offices and more than 3,500 sales associates in the Chicagoland, Northwest Indiana, Southwest Michigan, and Southeast Wisconsin areas. Broude is a lifelong resident of suburban Chicago and a graduate of the University of Miami, Coral Gables Florida with a degree in Business Administration. Broude has served on the Board of Directors for Multiple Listing Service of Northern Illinois and is currently serving on the Board of Managers for Midwest Real Estate Data. In addition, she is a member of the North Shore-Barrington Association of Realtors and the Chicago Association of Realtors. Craig Cheatham is president and CEO of The Realty Alliance, an invitation-only network of the largest, full-service real estate firms in North America. In addition to their residential operations, which boast more than 100,000 agents concentrated in 65 selected companies, the group’s members also operate mortgage, insurance, title/settlement, concierge, commercial, property management and other related business lines. Cheatham coordinates the network’s significant influence on industry policy in conjunction with major industry organizations, leverages the group’s size and strength to negotiate favorable agreements with various providers on behalf of the organization, and coordinates benchmarking and networking programs for member firm representatives, among other responsibilities for this powerful network. Cheatham is well known in real estate circles, having built his strong reputation during 25 years of positive experience in leadership roles for a state association of the National Association of Realtors, for the international federation of real estate licensing and regulatory agencies (ARELLO) and for The Realty Alliance. Cheatham holds the prestigious Certified Association Executive (CAE) designation, an undergraduate degree in communication from Harding University and a master of business administration degree from Samford University. Simon Chen assumed the role of president and chief executive officer of ERA Franchise Systems LLC in March 2018. A widely respected technology expert with decades of experience in real estate brokerage investments, marketing and operations, Chen is responsible for leading the ERA brand's growth strategy focused on enhancing agent recruitment, productivity and market share. Amy Chorew was appointed Vice President of Platform Development for Better Homes and Gardens Real Estate LLC in March 2012, and is responsible for growing the brand’s educational training platform as well as creating and expanding innovative agent tools and technologies offered to the brand’s network. Amy is an active member of several industry organizations including the Women’s Council of REALTORS® and the American Society for Training and Development. She is also a frequent contributor to state and national real estate association publications. Sherry Chris was appointed President and CEO of Better Homes and Gardens Real Estate LLC in October of 2007. Well known within the real estate industry, Sherry is a frequent speaker at real estate and technology conferences. She serves on Zillow's broker advisory board and has served on a number of industry- and technology- related advisory boards, including Trulia and Google Real Estate. She is a past chairman of The Realty Alliance. Sherry is a graduate of The University of Western Ontario, and earned an MBA from the Ivey School of Business. Most recently, she has won a 2010 Stevie Award for Best Executive in the Stevie Awards for Women in Business, an award that recognizes the accomplishments of outstanding women executives, entrepreneurs and the organizations they run. She was also named 2010 Inman Innovator of the Year. Patrick has been involved in the real estate industry for 30 years. He started his own company, Arch Construction Management, Inc., in 1992. Arch Construction is an award winning firm that specializes in fixed-fee, open book general contracting in the residential and small commercial market. He serves as the 2014 and 2015 President of the Home Builders Association of Greater Chicago (HBAGC). It is an eight county and City of Chicago trade organization affiliated with the National Association of Home Builders (NAHB). In addition he serves on the Board of Directors for NAHB and is the Area VP of the Home Builders Association of Illinois. He also has been honored locally as the 2010 Builder of the Year and 2013 Remodeler of the Year. Davidson currently serves on the international board of directors for Easter Seals. He is also active in Big Brothers/Big Sisters and a number of other local and national charities. He is an honors graduate of National Louis University in Chicago. A 35-year veteran of the real estate industry, Sam Delisi is currently an Executive Managing Director at CBRE. Based in the firm’s Chicago office, Mr. Delisi oversees the firm’s Premier Properties Program nationally. Under Mr. Delisi’s leadership the firm won more than 80 major office properties since 2011 throughout the United States. The US program has become the basis for a global premier approach service delivery. Additionally, Sam leads the Canadian Asset Services Business, Receivership/Distressed Management component of the firm’s national Restructuring Services group. Prior to his role with Strategic Accounts, he directed CBRE’s Asset Services Business on the East Coast where Mr. Delisi was responsible for more than 200 million square feet of office, retail and industrial properties and 1,700 employees. Previously, he was the divisions’ Chicago Market Leader. Under his lead, the Chicago Market has won 20 TOBY awards from BOMA in 5 years. Mr. Delisi brings a broad range of real estate expertise to his management role, including his experience as a consultant, tenant representative, leasing agent, and property manager. In 2003, CBRE merged with Insignia/ESG. Prior to this merge, Mr. Delisi was the Executive Vice President responsible for all business lines in the Midwest. d. Prior to Insignia/ESG, Mr. Delisi spent 13 years with Chicago-based U. S. Equities Realty as Senior Vice President, Director of Urban Leasing. During this time, he actively represented the real estate needs of both tenants and owners. Prior to U.S. Equities, Mr. Delisi was Vice President with Strobeck Reiss & Co. Throughout his career, Mr. Delisi has been involved in successful projects. He led the teams that won the management and leasing of Sears Tower, Renaissance Center in Detroit and management of the Navy Yard in Philadelphia. He has also directed leasing efforts or leased an unprecedented 33 properties in downtown Chicago. Many of these buildings are highly recognizable landmarks including the Santa Fe Building, One Financial Place, 120 South LaSalle Street, the John Hancock building, and 311 South Wacker Drive. Mike Demetriou joined Baum Realty Group, LLC as Chief Operating Officer in December, 2012. An attorney, Mike was previously a Senior Real Estate Associate at both Sidley Austin and SNR Denton where he focused on the financing, acquisition, disposition, and leasing of commercial real estate throughout the country. Significant representations included KeyBank, JPMorgan Chase, Metro Storage and more recently, Royal Bank of Scotland, Starwood and Wells Fargo. His practice also included zoning and land use matters for businesses and universities as well as non-profit entities. On a pro-bono basis, Mike also represented the Frank Lloyd Wright Home & Studio, the Peggy Notebaert Nature Museum and Mike also served as general counsel to The Cara Foundation. Prior to his career as an attorney, Mike worked in executive compensation for Hughes, Lucent and managed business development for a closely held telecommunications consulting firm. Mike received a Bachelor of Science degree from Cornell University and a law degree, with honors, from Chicago-Kent College of Law. Mike serves on the Young Professionals Board of the Legal Assistance Foundation, the Lakeview Citizen's Council, and he is currently the Vice President of the South East Lakeview Neighborhood Association. He and his wife, Katie, and their two children live in Lakeview. Jessica Edgerton joined Leading Real Estate Companies of the World® in January 2018, helping oversee operational areas of the company, including technology, marketing, learning and development, preferred vendor relationships and events. She previously served as Associate Counsel for the National Association of REALTORS®, where she interfaced with NAR’s communications, conventions and technology teams, as well as its membership. Her responsibilities included contract negotiations for NAR’s various divisions, helping ensure regulatory compliance, speaking on risk management topics at industry events and authoring content on various legal issues relating to the industry. Mr. Donovan, a 34-year veteran of the financial services and multifamily industries, joined CBRE in November of 2006 and co-leads the CBRE Capital Markets, Multifamily service line as Executive Managing Director. In his role, Mr. Donovan oversees our Fannie Mae and FHA debt platforms for CBRE throughout the United States. Mr. Donovan was previously the Chief Executive Officer of Deutsche Bank Berkshire Mortgage, steering that firm to a market-leading position in government-sponsored multifamily loans. Under Mr. Donovan, Deutsche Bank Berkshire Mortgage's servicing portfolio totaled more than $18 billion - virtually all of it in Fannie Mae, Freddie Mac, FHA and affordable housing loans - and the firm originated more than $4 billion in loans annually. Tom Ferry is the CEO of Tom Ferry – Your Coach, an International Coaching and Training Company. He is one of most influential people in real estate and is listed as the #1 Real Estate Coach by Swanepoel Power 200. Tom Ferry is the best-selling Author of Life! By Design and host of the popular YouTube series the #TomFerryShow. During his 26+ years in the industry Tom has influenced over 500,000 real estate professionals to create inner and outer wealth by helping them grow a prosperous business that they love through events, coaching and his breakthrough by design training program. Tom is a highly sought after and renowned speaker whose work embodies a passion for life and business, a commitment to discipline and the most innovative business strategies you will find anywhere. Tom has been featured in The New York Times, Wall Street Journal, USA Today, The Huffington Post, Mashable.com, Inman News, Agent Genius, Realtor Magazine and many more. Bob Flannery serves as Chief Operating Officer at CA Ventures with a focus on CA’s national multifamily development platform, along with involvement in CA’s strategic planning, acquisitions, capital markets and asset management activities. Bob is also active in decisions regarding the holding, selling, repositioning and refinancing of CA assets. Prior to joining CA Ventures, Bob was Chief Operating Officer at JRG Capital Partners and Chief Financial Officer at Jameson Real Estate, an affiliated company of JRG. Bob has over 25 years of experience in commercial real estate and executive leadership. He has worked for many of the industry’s top firms, including Prudential Insurance, JP Morgan Chase and Sam Zell’s Equity Office. He has been involved in transactions totaling over $2 billion and has managed real estate portfolios consisting of office, retail industrial and multifamily in major markets throughout the United States. Bob holds a BS in Finance from Northern Illinois University and an MBA in International Business from Wayne State University. Jay Gaskill became the Chief Executive Officer of Real Estate Digital in September 2011. Prior to that, he had been the President of LPS Real Estate Group for the past five years, responsible for the Real Estate Technology Services and Title and Settlement Services Divisions of Lender Processing Services, Inc. (LPS), a leading provider of integrated technology and services to the mortgage and real estate industries. For the past 25 years, Jay has been involved in all aspects of the real industry including real estate development, commercial and residential mortgage banking, and title and settlement services. He joined the Real Estate Group as the former Senior Vice President and Chief Operating Officer of the LSI division of LPS, and prior to that he originally joined Fidelity National Financial in 1993 and later became President of the Orange County division of Fidelity National Title. He graduated from San Diego State University with a Bachelor’s degree in Business Information Systems. Tom Gonser is the founder of DocuSign and leads the company's overall strategy. A well-regarded thought leader, Tom is considered by many to be the father of electronic signatures. Prior to starting DocuSign, Tom was founder and CEO of NetUPDATE, a leading online transaction management system that handled millions of mortgage transactions yearly. NetUPDATE was recognized as one of the Pacific Northwest's 'Hot Companies' in 2001. Ryan Gorman is currently the Chief Strategy and Operating Officer of NRT after serving as the Senior Vice President of Strategic Operations, a post he held since May 2012. As COO/CSO Gorman leads the company’s overall strategic growth and competitive analysis functions and has operational responsibility for growing NRT’s commercial, insurance, real estate owned (REO), property management and rental businesses, in addition to overseeing its mortgage, title and home warranty services partnerships. Ryan graduated with honors from the Wharton School of the University of Pennsylvania. Dayna joined NEA in 2012 and focuses on early stage consumer internet and enterprise companies. Prior to joining NEA, Dayna was an investor at North Bridge Venture Partners in Boston where she focused on seed and early stage consumer internet and SaaS investments. She is an active member of the startup communities along the east coast including Boston and New York. Her investment career follows operational success in product design and management. Before joining North Bridge in 2006, Dayna led product design efforts at Blackbaud [BLKB], the leading global provider of software to nonprofit organizations. She managed products throughout their life cycle as the company grew to over $130 million in revenue and completed a successful public offering. Previously, Dayna was a consultant at Cap Gemini Ernst and Young. Dayna has a BS from the University of Virginia in Systems Engineering and an MBA from Harvard Business School. Joe F. Hanauer has served as one of the Company’s directors since November 1996, as vice chairman of our board of directors from November 2001 to January 2002, chairman of the Board since January 2002, and lead independent director since December 2004; he was the National Association of REALTORS® representative on the Board through November 2000. Since 1988, Mr. Hanauer, through Combined Investments, L.P., has directed investments in companies primarily involved in real estate and financial services. Mr. Hanauer is a former chairman and director of Grubb & Ellis Company, a former chairman and chief executive officer of Coldwell Banker Residential Group, Inc. and a member of the National Association of REALTORS®. Mr. Hanauer was a trustee of the Calamos Fund Complex, a fund complex of 19 portfolios, from 2001 to December 2009. Mr. Hanauer served as a director of MAF Bancorp Inc. from 1990 until its acquisition in August 2007. Mr. Hanauer serves as one of the Company’s representatives on the Policy Advisory Board of the Joint Center for Housing Studies at Harvard University. Director of Strategic Planning and Initiatives for a leading residential real estate brokerage company, overseeing 48 offices and over 3400 agents. Responsible for shifting blend from a reliance on traditional marketing to interactive/web, which includes integrating digital, social media and video into company's marketing plans. Strong focus on maintaining budget and fiscal responsibility while increasing reach and strength of the brand. Maintain market share by retaining top producing agents and helping to grow current business and spur organic growth through recruiting successful competitive agents. Experienced in direct mail creation and distribution, database compilation and management, print advertising creation and management, graphic design, agent training, campaign presentation. Previously he was a Marketing Manager, Advertising Manager Direct Mail / Database Marketing Coordinator with Coldwell Banker. Mike is responsible for leading the data management and technologies within JLL’s Americas Research group. He leads a team and technology platform that is responsible for managing the overall property, company, lease, sale and tenant demand data for the brokerage and investment sales organization. Mike’s additional responsibilities include strategy and data management of JLL’s externally facing property listing site. Along with the tracking, categorization and relationship management of over 70 CRE Tech startups companies that can add value to the JLL’s platform. Chris's determination, relationship-building skills and extreme success in real estate make him an ideal leader for a global real estate giant. This is especially true since he describes the industry as an incredible opportunity for unlimited income - or an entrepreneur's dream. And we've only scratched the surface. Chris has sold more than 100 homes per year for the last two decades, and more than 3,000 to date. During a five-year stretch of one of the most challenging real estate markets in history, his sales volume totaled more than $450 million. At the same time, Chris launched a market center, which is now one of the region's most productive and profitable. In 2012, as president of KW Worldwide, Heller launched the first Keller Williams regions outside of North America. He was named CEO of Keller Williams in 2015. Chris's success in an increasingly complex and competitive marketplace is a function of his tenacity, drive, leadership skills and ability to assemble and empower high-functioning teams. Still, he credits Keller Williams' brilliant mix of culture, systems and philosophy of succeeding through others for much of his own triumph. When Chris isn't jet setting to the next KW locale, he's more than likely exercising outside with ear buds in - for the latest jam, of course. Chris lives in Austin, Texas. Tom Heneghan is chief executive officer of Equity International (EI). He provides strategic direction and oversees all of the company’s activities and investment portfolio. Prior to joining Equity International, Mr. Heneghan was chief executive officer of Equity LifeStyle Properties, Inc. (NYSE:ELS). From 1990 to 1995, Mr. Heneghan was with Equity Group Investments (EGI), the privately held investment company founded and led by Sam Zell. At EGI, he held multiple executive-level positions at Zell-related companies including Great American Management and Investments, Inc., a publicly traded holding company with subsidiaries in agricultural chemicals and fertilizers, building products and other manufacturing; Capsure Holdings, Inc., a publicly traded insurance company; and Greenberg & Pociask, LLC, the in-house financial services provider to Zell-affiliated companies. Previously, Mr. Heneghan was a financial analyst with Nicor Gas, and he began his career as a staff accountant at Peat Marwick, now part of KPMG. Mr. Heneghan is currently co-vice chairman of the ELS Board of Directors, and serves as a board member for three EI portfolio companies: Acosta Verde (a Mexican company owning retail shopping centers), eShang-Redwood (an Asian company owning warehouse properties), and SAMHI Hotels (an India company owning hotels), as well as Home Partners of America (a U.S. company owning residential real estate) and Chai Trust (the Zell Family Trust Company). He is also a member of the Urban Land Institute’s Global Exchange Council, and the board of advisors for the Global Real Estate Institute. He graduated with a BA in Accounting from Augustana College and is a certified public accountant. Bill has served as Senior Vice President for Strategic Initiatives since 2014. He has more than 30 years of wide-ranging experience in the banking, mortgage and financial services industries, covering areas of financial management, capital markets, credit and mortgage operations. From 2006 to 2012, Bill was a member of ING Direct USA’s senior management team, serving as chief lending officer. His mortgage-related experience includes various senior positions in finance, operations, credit and capital markets at ContiMortgage Corp. Bill began his career as a CPA with KPMG LLP, specializing in financial services and mortgage banking. He holds a BBA in accounting from the University of Notre Dame. Karen Hollinger is Vice President, Corporate Initiatives and is responsible for leading large strategic corporate initiatives. She also is point on innovation initiatives in development, construction and property operations. Prior to this position, Ms. Hollinger has led several functions and departments at AvalonBay, most recently as the VP of Information Services where she served as the lead executive for all applications, infrastructure and IT strategy for the organization. Ms. Hollinger also spent several years as a VP, National Operations with responsibility for establishing and managing the Customer Care Center in Virginia Beach, VA, a large industry-leading shared services center. Ms. Hollinger joined the AvalonBay organization in 2001 as a Director in our Human Resources Department. Prior to AvalonBay, Ms. Hollinger was a Senior Manager at KPMG, with a partnership focused on accounting systems and IT strategy with clients in the US and in developing countries. As part of this position, Ms. Hollinger started and led KPMG's IT consulting practice in Beijing, China and led other long-term technology strategy engagements in Guam, Mexico, Kazakhstan, Bosnia, Thailand and Georgia. Ms. Hollinger received a degree in Finance from William & Mary. As part of her involvement in real estate, she serves as the Chair for NMHC's Innovation Committee and was recently the Chair of the Systems Technology and Information Management Committee and has spoken at many conferences on matters related to technology in the US and abroad. She also often acts as a judge at real estate start-up venture competitions including Harvard's and for NMHC. Tom is currently President & CEO of Northwest Multiple Listing Service, Inc. (Northwest MLS). Northwest MLS is a trade association of about 2000 member real estate firms and delivers services to over 23,000 real estate licensees spanning western and central Washington State. Besides the primary services of providing active and off-market real estate listings, public property records, and key-boxes, Northwest MLS also provides the standard residential real estate forms for Washington State. Additionally, Northwest MLS actively supports the governmental affairs efforts and funding for many local Realtor® Associations, aids the state Realtor® association with funding and collaboration for special projects, and maintains close relations with regulatory agencies. Serial entrepreneur Jason Johnson brings nearly twenty years of technology expertise to the role of CEO at August. Jason is also a managing partner of startup incubator Founders Den and the chairman of the Internet of Things Consortium. Prior to August, Jason co-founded mobile security software company AirCover (acquired by M Dream, HK:8100) and ebook software startup BookShout!. Previously he was vice president of Dolby Laboratories, vice president of Global IP Solutions (acquired by Google) and was the co-founder and CEO of InterQuest (acquired by Darwin Networks). Krach has serves on the Boards of numerous other companies, including: CollabNet, Microposite, Tropos and Ooma. Most recently, Krach was elected Chairman of the Angie’s List Board of Directors. Angie’s List, founded by Bill Oesterle and Angie Hicks, is the nation’s premier provider of consumer reviews. Krach was pursed for the role in part, because of his strategic business insights. Gregg Larson has over 25 years of experience in the MLS and real estate information industries, and has established himself as a pioneer in new product design, online security, mergers and acquisitions, strategic planning, MLS regionalization, MLS system and vendor selection, and internet consulting. Larry Levy is a founder of Diversified Real Estate Capital, LLC. He has more than 40 years of experience in the real estate industry. His experience includes all aspects of real estate brokerage relating to office and industrial property. He has been an owner/developer of several major projects in Chicago including One Magnificent Mile, Woodfield Lake Office Campus, Waterfall Glen Office Park, Chicago Mercantile Exchange Center and Butterfield Center for Business. Mr. Levy also owns an interest in the Esperanza Resort in Cabo San Lucas. Senior Executive anchored in business results and actionable skills of Strategy, Execution, Big Data Analytics, and Management. Track record of working in a team environment to attain or exceed business operational metrics, employee engagement, and growth. Driving gross margin improvement, product pricing changes, and shrewd land negotiations. 13+ years of experience in Strategy, Sales, Marketing, Land Acquisitions, and Big Data Analytics. Innovating and executing process orientation to market analysis in a corporate setting. Outstanding track record of recruiting, managing, and leading talented and diverse business leaders and teams. Driving data and analytics to actionable decisions with regard to product, pricing, placement, and promotion. Setting the standard of leadership within a matrixed organization and partnering with multi-faceted Area and Division Presidents. Prior to business career, accomplished record as a professor, quantitative researcher, and author. Mr. Merrill is the Co-founder, Chairman and CEO of Harrison Street, a real assets investment management firm he co-founded in 2005 that has completed approximately $24 billion in transactional volume and currently has over $19 billion in AUM. Mr. Merrill is currently the largest individual shareholder and serves as Chairman of the Board and the Investment and Executive Committees of the Company. The firm was an innovator and early adopter of a focused investment strategy around the Education, Healthcare and Storage segments of the real estate market (launching nine closed end funds as well as industry leading open-end funds). In 2018, Mr. Merrill sold 75% of the firm to the Colliers International Growth (CIGI) in order to create long-term stability and an orderly succession of the business to key employees. Over 300 investors ($12 billion) participate in Harrison Street funds including include US, European and Asian Pension Funds, Corporate Plans, Insurance Companies, Endowments, Foundations and family offices. The firm has main offices in Chicago and London. Prior to co-founding Harrison Street, Mr. Merrill was a partner, owner and Managing Director of a large US Pension Fund Advisory firm where he developed the firm's presence in Europe, creating the first ever real estate funds exclusively targeting the markets of Central Europe. This initial fund was one of the Top 10 performing global funds during vintage years 1996-2000 as noted by Preqin. Mr. Merrill has appeared on television and in numerous real estate journals as well speaking engagements regarding real asset investing. Over the years, National Real Estate Investor Magazine has named him one of the "10 To Watch" leaders in the industry, PERE nominated him as one of the top real estate executives in North America, Real Estate Forum named him one of “Chicago's Real Estate Icons” and he was included as one of “Crain’s 40 under 40.” In 2018, Mr. Merrill was one of the finalists in PERE’s North American Industry figure of the year. Mr. Merrill is a member of the NAREIM Board of Directors, Pension Real Estate Association (PREA), The Real Estate Advisory Board of two Chicago based family offices (Gore Creek and Kinship Capital), The Board of the First Tee of Greater Chicago, Lurie’s Children’s Hospital of Chicago (Facilities Committee), Chicago Botanic Garden (Financial Committee) The Economic Club of Chicago, the Chicago Commonwealth Club and the Young Presidents Organization (YPO). Mr. Merrill is also an active angel investor in many early stage companies. Mr. Merrill earned his MBA in the evening from the CASS school of business in London, England. For over 28 years, Pam O’Connor, SCRP, has managed networks which ultimately were consolidated into Leading Real Estate Companies of the World®. She was the first woman to head a major real estate network and previously held marketing positions for WSB-TV television in Atlanta and a major national real estate development firm, as well as co-owning Bryson-O’Connor Public Relations in Atlanta. Pam has been named one of the top 25 thought leaders by the National Association of Realtors, as well as one of the top 100 most influential people in real estate by Inman News. She was also named among the Top 50 Women in Real Estate in a 2008 Stefan Swanepoel poll. Pam is a Senior Certified Relocation Professional (SCRP) and serves on the board of directors and executive committee of Worldwide ERC. She has received ERC’s Meritorious Award, President’s Award, and Distinguished Service Awards and was named to its Hall of Leaders in May, 2009. Alexander E. Perriello, III, served as president and chief executive officer of the Realogy Franchise Group since April 2004. The Group is the largest franchisor of residential and commercial real estate brokerage offices in the world. Perriello oversees the Better Homes and Gardens® Real Estate, CENTURY 21®, Coldwell Banker®, Coldwell Banker Commercial®, ERA® and Sotheby’s International Realty® real estate brands, which combined have approximately 13,700 franchised and company-owned offices and 247,800 brokers and sales associates doing business in 103 countries around the world. In addition, Perriello is responsible for the Franchise Group’s shared support services, including domestic and international franchise sales, administration, finance, business development, information technology, learning and human resources. With more than 35 years in the real estate industry, Perriello is widely recognized as a real estate industry leader and keen observer in the areas of policy and market trends. He serves on the National Association of REALTORS® as a member of the Executive Committee and Board of Directors. In addition, he chaired the 2010 Strategic Planning Committee and has been a member of the Large Firm Advisory Council since 2005. Perriello previously served as president and CEO of Coldwell Banker Real Estate Corporation from 1997 to 2004. During this time, he was acclaimed by REALTOR Magazine as “The Great Innovator” and one of its “25 Most Influential People in Real Estate.” Perriello’s visionary leadership continued to bring Coldwell Banker to the forefront of the real estate industry through groundbreaking initiatives as well as new business and service models. Perriello, who began his career as a sales associate, has worked in almost every facet of the real estate business. Perriello shares the entrepreneurial spirit of his affiliates as a one-time independent real estate broker and owner of a chain of retail stores. After joining Coldwell Banker in 1983, Perriello held management positions in product development, real estate services, marketing and operations. Perriello played an integral role in the restructuring and development of Coldwell Banker following its 1996 acquisition by Cendant (then HFS) and its relocation to Parsippany, N.J. Accomplished, collaborative executive of multi-billion dollar global brand company who builds and operates profitable world-class brands. COO and CMO leadership experience includes acquisition integration, transformational top-line initiatives, brand launches and brand revitalization, and programming to elevate service delivery. Adept at leading large, complex global structures to maximize benefits of scale while enabling innovation and flexibility needed for successful lifestyle brands to thrive. Strategic business partner with 13+ years experience as a CIO focused on global cultural change within the organization. A team leader who develops, mentors, and empowers people to rise to new challenges every day. Bottom line disciplined and driven by a belief that there must be a return on each technology investment made. Expertise in cloud, global ERP, real estate, and mobile. An experienced speaker on IT best practices, industry trends, business intelligence and collaboration applications in the enterprise. He is a team focused executive, instilling a culture of innovation, leadership and service excellence in people and earning respect from senior management, business partners and investors. Dan is the Founder and General Partner of Commerce Ventures, a venture firm focused on digital innovations in the payments, retail and commerce eco-systems. Commerce Ventures represents a broad, highly strategic set of investors and, thus far, the firm has invested in over twenty portfolio companies since its launch, including Bill.com (SaaS Platform for B2B payments), Bitnet (Crypto-currency Acceptance Gateway), Forter (Fraud Decisions-as-a-Service Platform), Marqeta (Next-generation Issuing Platform), MX (Saas Platform for Omnichannel Banking), RetailNext (In-store Analytics), Snapsheet (Auto Insurance Self-service Platform) and SavingStar (All-digital National eCoupon Network). 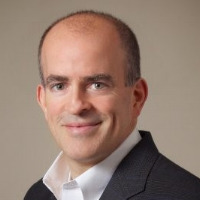 Prior to creating Commerce Ventures, Dan was a Principal at Highland Capital and invested primarily in mobile, payments and digital marketing companies, such a Quattro Wireless (acquired by Apple), Triad, Zoove (acquired by MBlox) and WePay. Before joining Highland, Dan worked at HarbourVest Partners, LLC - where he invested in and worked closely with several successful, growth-stage technology and communications businesses; in Corporate Development at RSA Security; and as a fintech software consultant for American Management Systems. He has served as a mentor or advisor in programs such as Commerce.Innovated, Mondelez’s Mobile Futures, PYMNTS.com Innovator Awards, Plug and Play’s FinTech Accelerator, Summer @ Highland, HBS Angels, NAR’s Reach Accelerator and First Growth Venture Network. Dan received his BS in Economics from University of Pennsylvania (Wharton) and his MBA from Harvard. Ms. Jennifer Staciokas serves as Senior Vice President of Marketing and Training at Pinnacle Property Management Services, LLC. She served as Vice President of Marketing & Training at Lincoln Property Company. Ms. Staciokas was responsible for supporting and overseeing Marketing and Training programs nationwide for the conventional and military divisions. She began her career with LPC over 10 years ago in Washington, DC. She serves as a Member of Multifamily Rental Advisory Board at Zillow, Inc. She is a regular guest speaker, facilitator and moderator at numerous multifamily industry conferences including Apartment Internet Marketing conference, the Crittenden Multifamily Conference, the Urban Land Institute and MultifamilyPro's Brainstorming Sessions. Ms. Staciokas holds a BA in French from West Chester University and an M.A. in International Commerce & Policy from George Mason University. Adam Stanley provides strategic and operational direction for Cushman & Wakefield’s client facing and colleague technology systems and infrastructure across all global business lines. Drawing on his more than 20 years of industry experience and as an integral member of the global executive team, Adam is a change agent with proven success driving growth, performance, talent retention and innovation. Under Adam’s leadership, Cushman & Wakefield (or DTZ) was named to the CIO100 for 2016 and 2015 by CIO Magazine. Adam has also been honored as one of Chicago’s Tech 50, Infoworld Premier 100 Leader, Huffington Post’s Most Social CIOs, and the InfoWorld CTO 25. Prior to joining the firm, Adam served as Technology and Security Services Director for Aviva PLC, a FTSE 100 and Fortune 500 insurer and asset manager and the world’s sixth largest insurer. Adam’s numerous global and U.S. leadership roles have also included serving as the Global Chief Technology Officer of Aon, a global provider of risk management, insurance and reinsurance brokerage. He is deeply involved in the civic and charitable community and in addition to Board roles provides pro-bono technology, operations and organizational strategy advisory services to non-profit organizations. VP, Acquisitions, Levy Acquisition Corp.
Mike Wallach has served as Vice President of Acquisitions for Levy Acquisitions Corp. since September 30, 2013. Mr. Wallach joined Levy Family Partners in 2013 to work with and to assist the family with other alternative investments. Prior to joining Levy Family Partners, Mr. Wallach was a Director of Strategic Investments at Sachs Capital Group, a family investment office which was the sponsor of an $80 million special purpose acquisition corporation that completed a business combination with two companies and is now called RMG Networks Holding Corporation (NASDAQ: RMGN). At Sachs Capital Group, Mr. Wallach’s responsibilities included global deal origination, structuring and due diligence for both the special purpose acquisition corporation and the family office. Prior to Sachs Capital Group, Mr. Wallach worked in the research department of a multi-family investment office where his responsibilities included sourcing, evaluating and monitoring alternative investments across the globe. His primary areas of investment focus included global water, clean energy, Africa and cyber-security investments. Jennifer Alter Warden is the chief operating officer and executive vice president of Baird & Warner. She works closely with the presidents of Baird & Warner’s three divisions -- Residential Sales, Key Mortgage Services and Baird & Warner Title Services -- to ensure they have the marketing and technology strategies and resources they need to operate effectively. Jennifer also serves on Baird & Warner’s executive committee, as well as plays a major role in creating an environment that empowers people to be better and enables Baird & Warner to consistently rank as a top workplace in Chicagoland. With Baird & Warner since 1995, Jennifer was responsible for launching the company’s home services, e-business and title operations. In 2002, Jennifer created the Baird & Warner Good Will Network, the company’s charitable initiative, and she continues to oversee the program. To date, the Good Will Network has donated nearly $2 million to worthy nonprofits. Jennifer’s background is a combination of communications, public relations and journalism. She was principal of her own marketing communications firm for eight years, and she spent four years in marketing and management positions for a national wholesale distribution company. A lifelong resident of Chicago, Jennifer is an avid cyclist who takes full advantage of the city’s lakefront, park system and other public treasures. Jennifer, her husband Rob Warden and their two grown sons are active in the community and committed to making a difference. She leads by example, working hard to inspire Baird & Warner employees to do their personal best. Thaddeus Wong began his real estate career in 1996 and quickly established himself as one of the most successful Realtors® in the city of Chicago. During the early years of his career, Wong personally recorded more than $300 million in sales and earned three consecutive Golden Eagle Awards from the Chicago Association of Realtors as the top-producing agent among the organization’s more than 17,000 members. Charlie Young returned to Coldwell Banker Real Estate LLC in September 2016 when he was appointed President and Chief Executive Officer. Young first joined the Coldwell Banker brand in 2004 after an extensive career in business management, field operations, marketing and real estate operations. Initially, he served as Senior Vice President of Marketing and later was promoted to Chief Operating Officer. Young spearheaded several innovative programs during his first five years with Coldwell Banker as it became the first national brand in the real estate industry to use video in marketing efforts, develop a Facebook app and a standalone luxury home website. He also guided the brand’s 100th anniversary celebration in 2006. Young transitioned to a similar role at ERA Franchise Systems LLC in February 2009, before being appointed to the role of President and Chief Executive Officer two months later. Previously, Young gained significant real estate field operations experience when he served as a vice president for then Cendant Mortgage (now PHH Mortgage) where he worked closely with brokers in the Coldwell Banker, ERA Real Estate, and CENTURY 21® systems. Young is a 1987 graduate of Emory University.